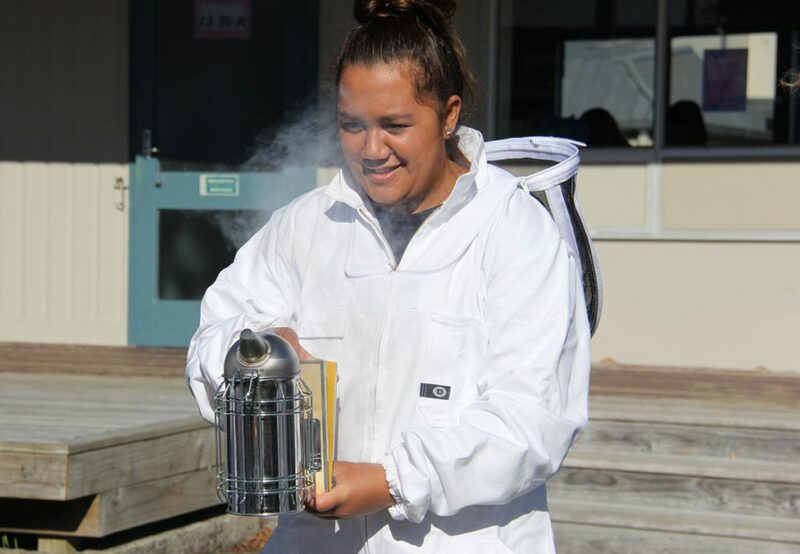 Would you like to graduate with the NZQA New Zealand Certificate in Apiculture (Level 3) and launch your career in the Beekeeping industry? This NZQA approved 34 week part-time programme is available to students throughout New Zealand. Your training includes 18 face-to-face training days which is usually 2 days per month for the duration of the course. If you live in the North Island our block courses are run from our training centre in Tauranga. If you live in the South Island our block courses are run from our training centre in Invercargill. Within the programme a significant amount of practical, on-site training within an Apiary is required. There is a significant amount of practical, on-site training to complete the on-course requirements. How this happens will depend on your individual situation. For example, if you are working full-time or part-time in the industry your practical hours will occur naturally within your workplace. 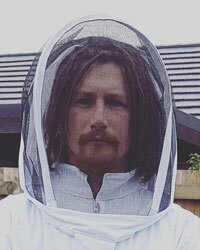 Or, if you do not have access to an apiary we will organise a work experience placement for you. 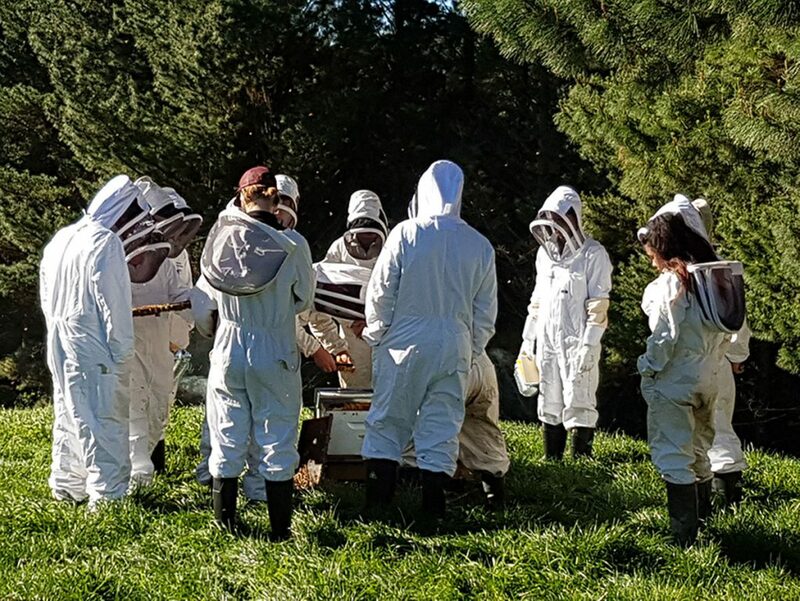 If you join our Tauranga Beekeeping course we’ll help you find an apiary either near where you live or in the Tauranga area. 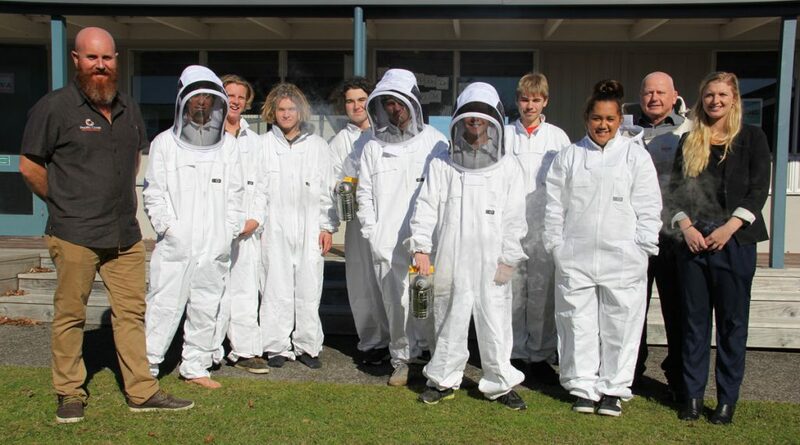 Same if you join our Invercargil Beekeeping course. I’ve always been interested in bees. A friend of mine is a commercial beekeeper and I’ve joined him on several occasions. My family has property in the bush and fruit trees so I’ve got plenty of places I could put a few of my own hives. Before finding this course I was planning on obtaining my own hives at the end of the year but I was worried about killing the bees, wasting their lives and my money due to my lack of knowledge and experience. That’s why I’ve joined the course: to learn about how to care for the bees long-term. The training centre and site visits are awesome, the staff are friendly and helpful. 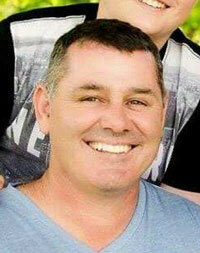 Chris, our instructor is knowledgeable and he welcomes any and all questions. I enjoy the diversity amongst my fellow students too, we are different ages, different experiences and different reasons for being here. I’m working full-time at a Packhouse in Katikati where my supportive employers allow me to schedule in the 2 training days per month. This has fitted in well time-wise, with the completion of the main pack season leading in to the start of the course. I’ve really enjoyed the course so far, and if you want to learn beekeeping, I think you should do this course. I was looking at a similar course full-time, but I didn’t want to be away from my 7 year old son for so long, so when I found this course not far from home, and it was part-time, I was stoked. I’ve been interested in beekeeping since childhood, and I became increasingly concerned when I started reading news articles about the declining bee population. When I was recovering from a back injury last year, I was pondering the big questions “what kind of job would make me happy?”, “what can I do that will make a difference?”, and the answer I came up with was beekeeping. I have space for a couple of hives in our backyard which borders a farm, so I’ll have my own hives soon and after that a full-time career. I’ve already contacted 14 apiaries near me to sort out work experience when the bees wake up in Aug/Sep. None of them have qualified beekeepers, so I’ll have a huge advantage once I’m qualified. If you are considering this course I say definitely do it, 100%. Even the first few days of training were awesome. We learnt hive building, wax melting and more. All us students really bonded as a team too. I can’t wait for the next practical block in a few weeks. I’m doing this beekeeping course simply because I have a beehive of my own and I want to ensure I know how to look after my bees all year round. I don’t have ambitions beyond that. I just need to know how to spot potential issues and deal with them. Practical, hands on learning, that I can’t get from books, is important to me. I find bees to be fascinating creatures. Isn’t it incredible that such a tiny insect is crucial to the food supply of all humans on the planet? Without bees our world would be very different. If you are like me and just interested in bees as a hobby, I urge you to do this course so that you know how to look after them properly. Imagine if you didn’t pick up on a disease in your colony and it spread to other hives and impacted pollination and food supply in your region? You need to educate yourself. People from all walks of life are welcome, with the whole range of ambitions from hobby to career. Sure, bees are cute (only bumble-bees are cuter), and their honey is sweet, but most important is their pollination role which is vital to the survival of our planet. Without them we’d be in serious trouble. That’s one reason why I’m doing this course, to learn how to care for them and pass on knowledge and respect to my grandchildren. I plan to have my own hives soon and would like to breed queens. I’ve enjoyed the course so far. The whole atmosphere is very positive. It’s a great environment to work and learn in. Everyone is knowledgeable, and helpful. If you do have an interest, my advice is to join this course and take your interest to the next level and learn something worthwhile. We will send you a detailed Programme Overview and Enrolment Form instantly. On Which NZ Island Do You Live?